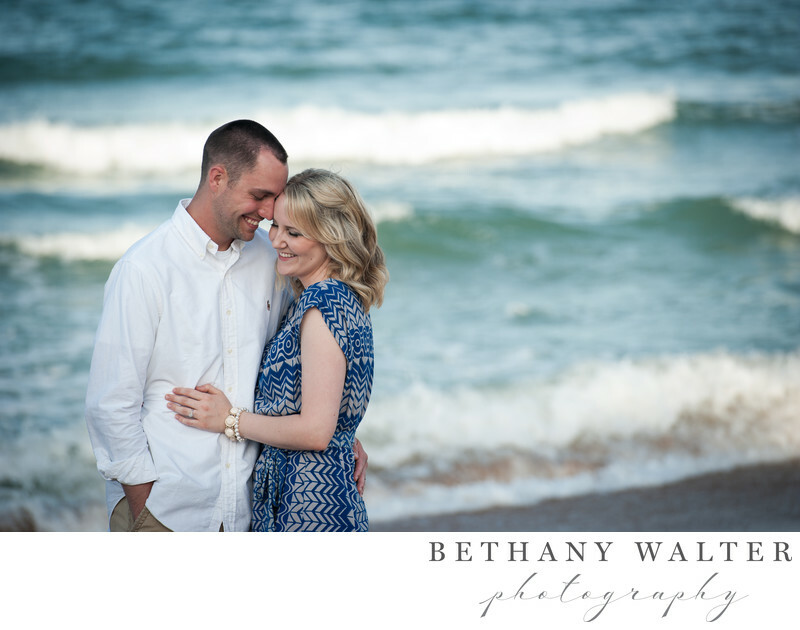 The St Augustine area is a popular spot for beach engagement sessions. With many locations to choose from, it's hard to decide which is my favorite. This image was taken on Vilano Beach in the summer, an hour or so before sunset. As much fun as it is to go to the beach at any time of day, for pictures, close to sunset is often my favorite. The softer light is flattering, not harsh. Many people have headed home creating more privacy and space. Also, checking the tides is a good idea too. The tide can significantly impact the session. If you are thinking of heading to the beach for your engagement session, ask your photographer when they would prefer to start shooting at the beach. Location: Vilano Beach, Florida .